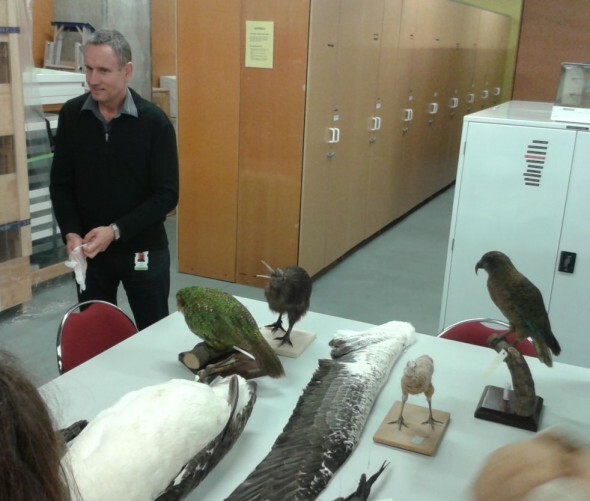 On the Wednesday of our last week of school we had a behind the scenes trip to Te Papa. Earlier in the year we sent in a few questions to ‘Science Live’ about when some scientists went to visit the Sub Antarctic Snares Islands. They talked about the trip and answered one of the questions we sent in, so that’s why we were able to go to the behind the scenes building. We were put into two groups and taken down into the basement with a scientist named Colin. We were taken to the bird room where there were large cabinets that contained birds that had been found washed up on beaches and in other bird habitats. There was a table set up with several stuffed birds on it including, a Royal Albatross and an Albatross wing, a Pomarine Skua and a Kakapo. Colin then asked if there were any birds that we would like to see inside the cabinets. Rory put his hand up and asked to see the Kerguelen Petrel. We were led through a gap in the cabinets. Colin opened a door and pulled out a few drawers, inside were around six or seven specimens lying on their backs. They were dark grey on their backs, heads, collars, tails and wings. They had a slightly lighter shade of grey on their under parts. Felix then asked to see the Bulwer’s Petrel which he held up on the end of a stick. It had very smooth feathers and was smaller and had more of a brown colour rather than grey. Everyone felt amazed. Especially when they took out the Black Footed and Laysan Albatross which has only been found or seen once in New Zealand. 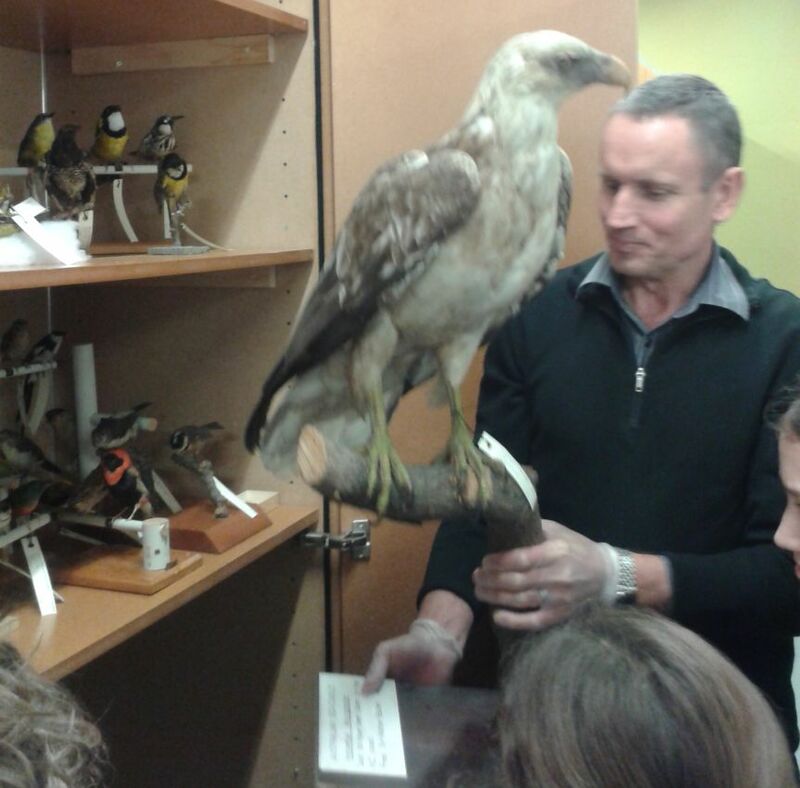 We were shown many more specimens of mainly seabirds but also songbirds and a White Bellied Sea Eagle. We were next taken to see the invertebrates with a flea scientist called Ricardo. We were first shown Weta. We learnt that the smaller they are the more vicious they are. He showed his collection of different fleas to us which he had collected in Argentina. The last insects we saw were Butterflies and Moths. They were mainly found in Africa and South America. Everyone found seeing Butterflies from different countries amazing. He showed us a moth or butterfly that disguises itself an Owl. We found the trip extremely interesting. Thanks Te Papa. Clearly the students had a great time and learned a lot…and from the calibre of their questions. answers and knowledge, one of them may be in charge of our collection in the years to come!